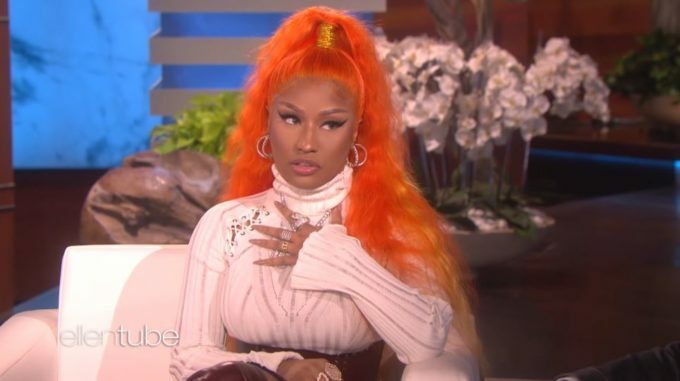 Nicki Minaj made a stop on The Ellen Show this morning in promotion of her latest album Queen, which is out now everywhere. Ellen usually ends up asking whatever she wants from her good friend and this time was no different. She asked the Queens rapper about preferring to do it three times with her man in a night. She goes on to to explain her reasons for it, which is that she doesn’t end up seeing him every night. Nicki also got a little candid about her love life, revealing that there is someone she’s been seeing for just two weeks but she is still officially single and is choosing to be this way for a while. Nicki spoke on losing to Travis Scott’s Astroworld to land at number 2 on the Billboard 200. She reiterates that she will speak up when something unfair has been done and that she wants to “punch him in the f*ckin face.” Watch it below.